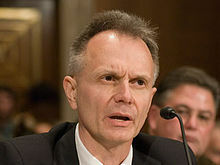 David Deming is a geologist, geophysicist and associate professor of Arts and Sciences at the University of Oklahoma. He is also a staunch wingnut and adjunct faculty member at two wingnut think tanks, the Oklahoma Council of Public Affairs and the National Center for Policy Analysis. He is probably most famous for his anti-environmentalism, partially based on the idea that “sustainability” is a misleading concept – technology will save us anyways, so it’s nothing to worry about (he is nevertheless opposed to investing in renewable forms of energy instead of oil and natural gas). But there sure is a conspiracy! “A major person working in the area of climate change and global warming sent me an astonishing email that said ‘We have to get rid of the Medieval Warm Period,’” after Deming had managed to gain acceptance in the club by pretending to be one of them. Of course, he offered no evidence, name or elucidation of “major” (context here). Seems a bit like all those unnamed physicists and biologists Kent Hovind ends up sitting beside on planes and who confidentially admit to him that cosmology and biology is really bunk. Deming is also a signatory to the Discovery Institute’s petition A Scientific Dissent From Darwinism, though he does accept evolution and has claimed that Intelligent Design cannot be formulated as a scientific hypothesis and is scientifically useless. Political alignment and expedience seems to be the best explanation in this case, as it frankly seems to be for most of the views he has been caught defending. He’s also into MRA stuff, backing up his arguments by pseudo-biology. Go figure. Diagnosis: A good example of what happens when otherwise intelligent people start viewing reality as supervening on political expedience. Zealous denialist, and dangerous.